Thirty-five of the 89 Indigenous activists secretly investigated and profiled by the RCMP as potential threats to public safety have ties to New Brunswick, a recently released document shows. The 35 individuals participated in anti-shale gas protests in the Kent County area in 2013 and met the RCMP's criteria of "disruptive or volatile," according to the report on the year-long investigation, dubbed Project SITKA. Police followed their social media accounts, compiled lists of their vehicles and phone numbers, and tracked their five-year history of attending demonstrations, as well as which organizations they were involved with and what people they associated with. "It raises a whole bunch of flags around privacy issues," said Jeffrey Monaghan, an assistant professor at Carleton University's Institute for Criminology and Criminal Justice, who obtained the document through an Access to Information request as part of a book he's working on with Andy Crosby about state surveillance of Indigenous activists. Monaghan contends it's a violation of civil liberties. "These are Charter-protected activities; these are public, political events that people are engaging with," he stressed. The RCMP has not responded to a request for comment on Project SITKA, which was launched in early 2014 to "assess the threat posed by individuals and/or groups (Aboriginal and non-Aboriginal) willing and capable of utilizing unlawful tactics in association with Aboriginal public order events." Its National Intelligence Co-ordination Centre initially compiled a list of 313 people, based on information submitted by RCMP detachments and various policing agencies across the country. Of those, 227 were identified as "passive protesters." Police created individual profiles of the remaining 89, which were distributed to front-line officers, divisional analysts and law enforcement partners through two databases: the Automated Criminal Intelligence Information System (ACIIS) and Police Reporting and Occurrence System. "What kind of investigation is this? Is this a criminal investigation? Police are using criminal tools and criminal justice resources to do a quasi-criminal investigation … but no one's notified. It's outside of any kind of procedural expectations we would have for a criminal justice process," said Monaghan. "So it happens in this kind of murky world of I guess what we could call pre-crime. It's kind of trying to determine who is dangerous in the future by going back in the past and trying to profile people based on information they have." The report breaks the list down by region. 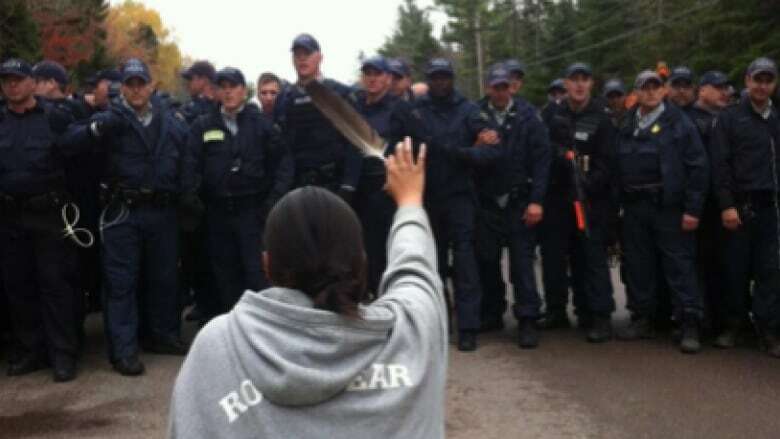 New Brunswick, which saw months of demonstrations against shale gas exploration by Southwestern Energy Company (SWN) Resources Canada near Elsipogtog First Nation in 2013, including a violent clash with police on Oct. 17 that ended with six police cars being torched and 40 people arrested, had the highest number at 35. British Columbia was next with 16, then Ontario (15), Manitoba (11), Nova Scotia (10), Saskatchewan (1) and P.E.I. (1).